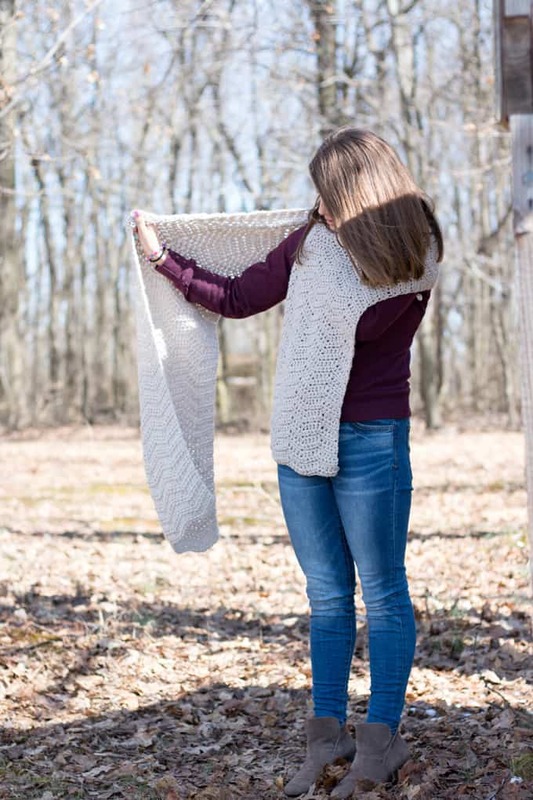 Looking for an easy but cozy crochet wrap? 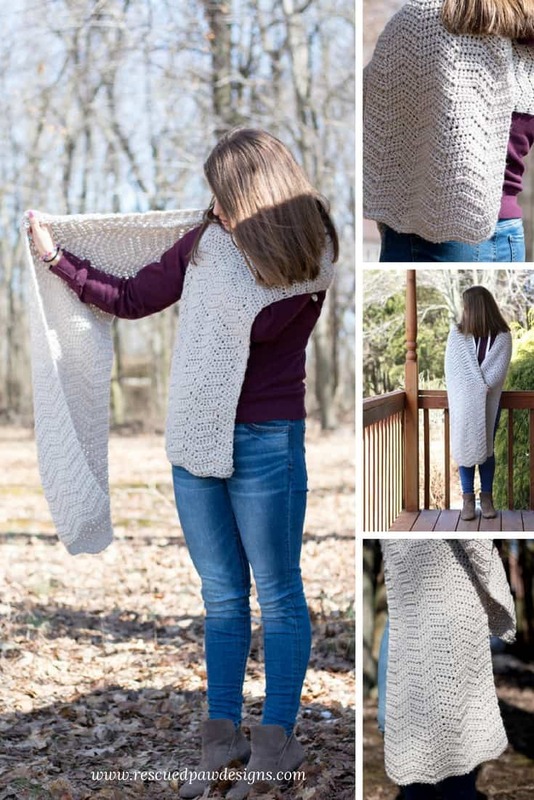 This simple wrap crochet pattern is a breeze to work up and is perfect for the fall & winter. New Name for a Wrap is a SCARFKET? When I showed my daughter this design she called is a scarfket (scarf + blanket) and I love the name! Maybe we can start a new trend? If you want to stay cozy warm, look pretty cool if you ask me and say you made something yourself then this is the pattern for you! THE YARN That’s perfect for a wrap! I used Vanna’s Choice Yarn by Lion Brand in the colorway Linen for the entire wrap which can be easily found online, in most craft stores and at bigger brands like Walmart. 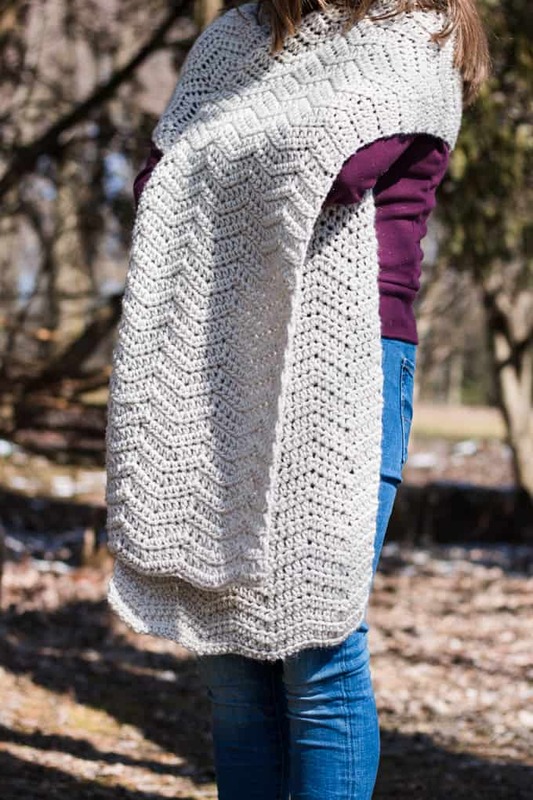 This design is worked in a simple stitch repeat so it’s the kind of pattern you’d sit down on the couch, turn on Netflix and crochet away with! Easy to Crochet Wrap Pattern! Promise! 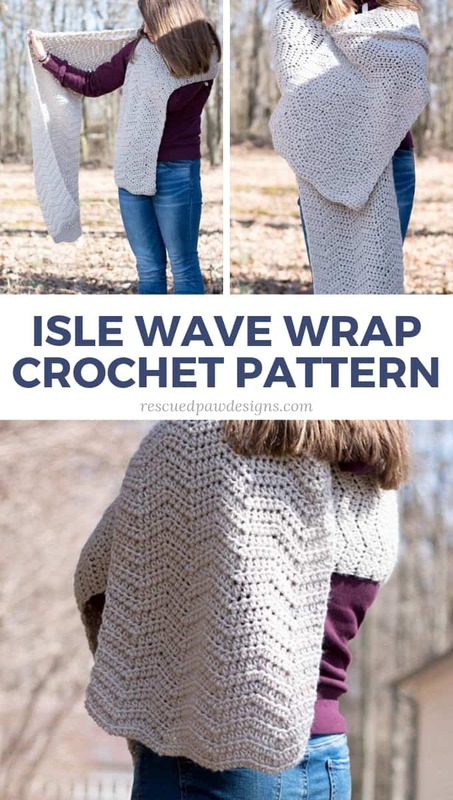 I promise this an easy crochet wrap pattern for sure. It also helps that I love easy, simple and fast so those are the kind of crochet patterns I tend to design. Ready to get started yet? By now I am sure you have decided that this is a pretty awesome wrap pattern and you HAVE to make it! 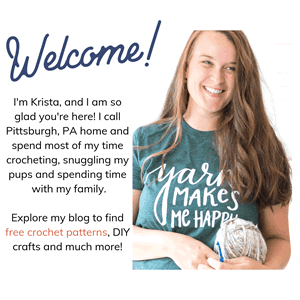 (wink wink) Well at least I’m hoping and If so, read on down to find the full wrap crochet pattern and get those hooks moving today! 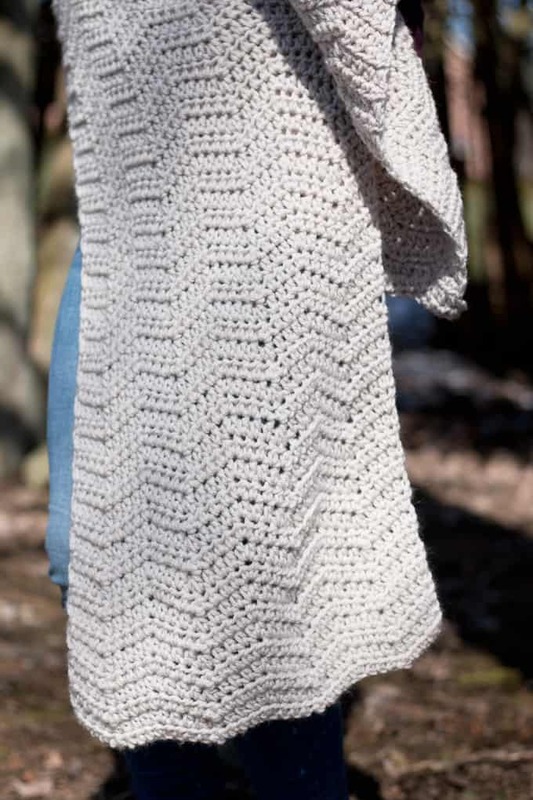 My friends at Lionbrand.com have generously made this into a crochet kit! 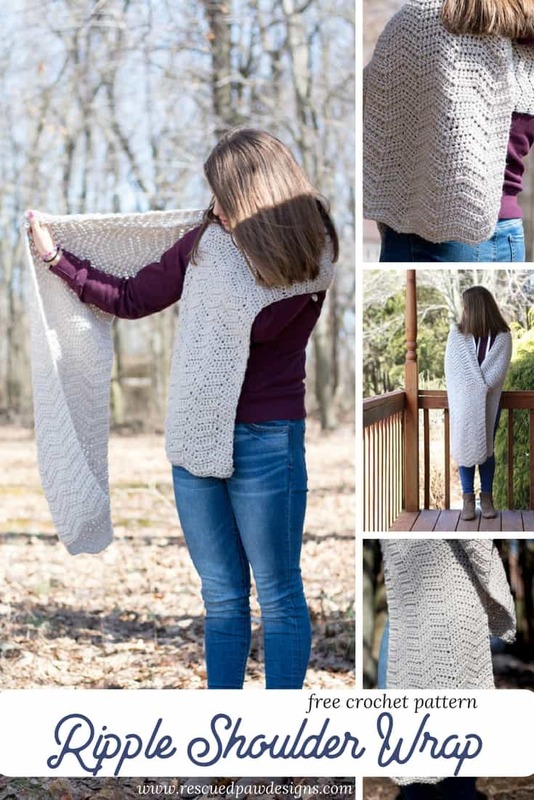 You can get the pattern and all the yarn needed to make this for a low price! Check out the kit “here“! Be sure to check out my YouTube tutorial below to learn how to do the crochet wrap stitch repeat if you are more of a visual learner! And don’t forget to hit the subscribe button so you never miss out on a new YouTube tutorial! Finished size varies on what starting chain is used. As written finished size is 14″ wide and 76″ long. To make different sizes of this crochet wrap, please use a multiple starting ch of 18 then add 2 to whatever length you have chosen. Here is a tutorial on changing colors if it is needed. Click here for the written tutorial. Click here for the video tutorial. Here is a video tutorial on how to half double crochet two together. Row 3-124 : Repeat Row 2 for the pattern. 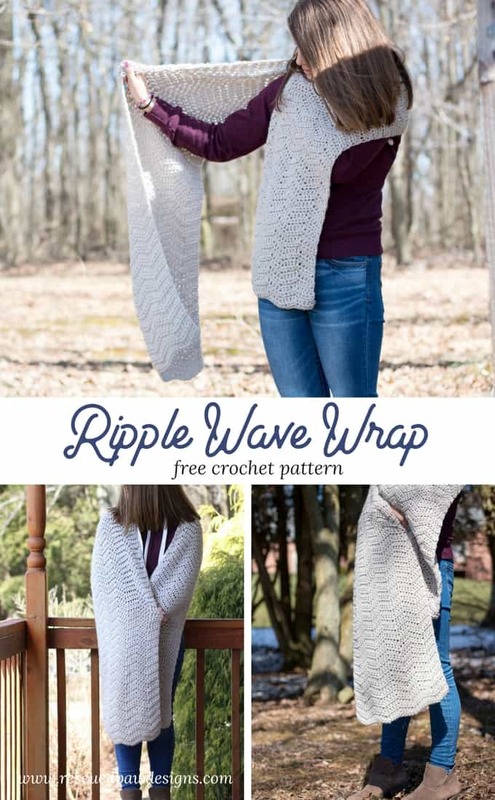 Finishing: Fasten off and weave in loose ends throughout this ripple crochet wrap with a yarn needle. That’s it! 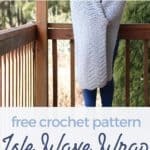 You are done with the Isle Wave Crochet wrap! If you don’t have time to make this now be sure to pin on Pinterest or save to your Ravelry library! I am glad to help! 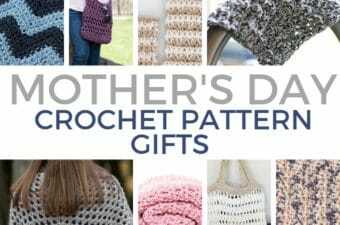 I hope you and your mother enjoy this crochet wrap!! 🙂 Happy Crocheting! As written finished size is 14″ wide and 76″ long. Happy Crocheting! Looking for just such a patter!! Thank you so much! I love using your designs. Love your website and lovely pictures. You are welcome Sue! I am glad you like this pattern! Happy Crocheting! You are welcome Andi! Happy Crocheting! Great pattern. I would like to make it into a afghan! I love this pattern and am nearly done with my first wrap. I plan to make more. I so enjoy all your designs. Keep up the good work. I am so glad you liked it Suzi! Thanks for taking the time to write to me! Happy Crocheting! FYI: You left the * off on Row 2 that shows where to repeat again. Also, I had to use a size K crochet hook to keep my work smooth. I tried with the Size J hook as suggested but it was too bunched up. It was because of the yarn I was using. I think the Vanna’s Choice must be a smoother yarn and perhaps would glide along the suggested size hook much better! 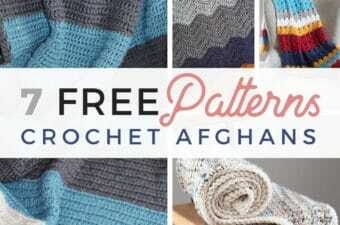 Thanks for the nice patterns that you provide for all of us crochet addicts! Thank you so much Rhonda! I fixed it! 🙂 I am glad you got it to work for you. 🙂 What yarn did you end up using? You are so welcome! I hope your daughter enjoys it! Happy Crocheting! The pattern is lovely. 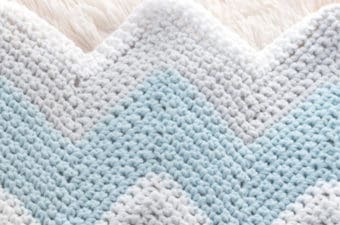 I would like to make a blanket, what would be the stitch multiple if available? thank you. The stitch repeat is a multiple of 18 then add 2 chains to whatever length you have chosen.